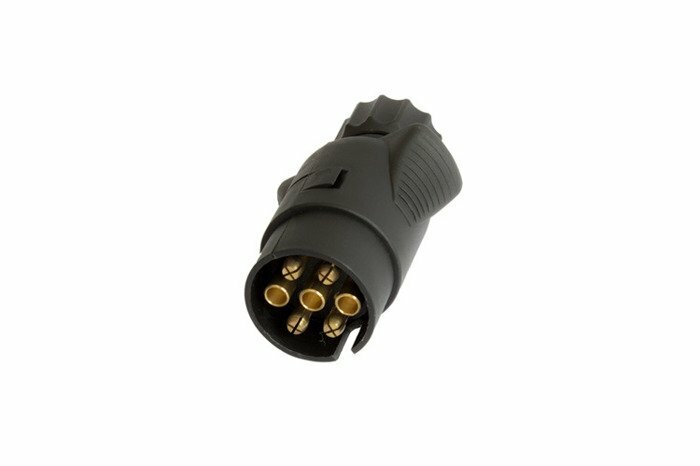 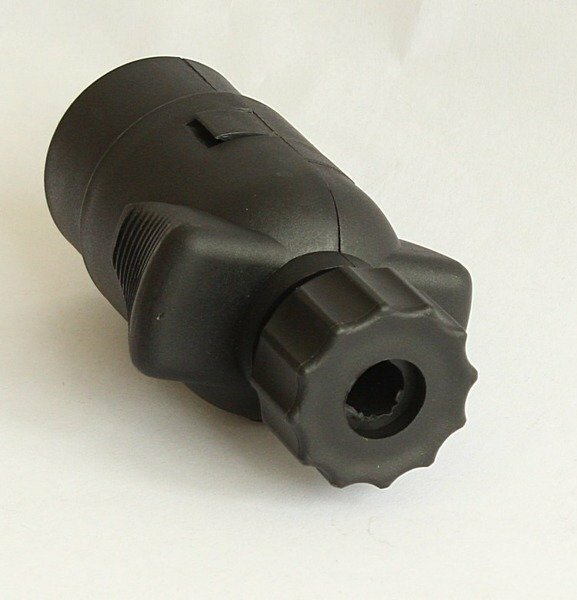 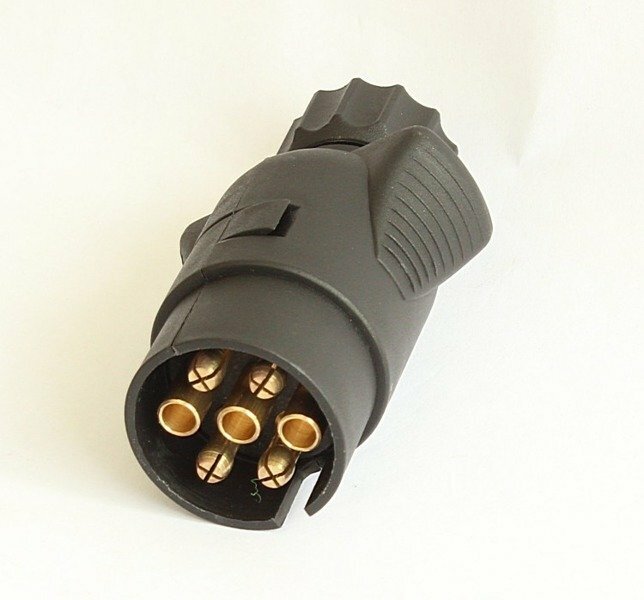 7 pin plug for trailers in plastic cover 12/24V. Universal product - fit for every kind of trailer. 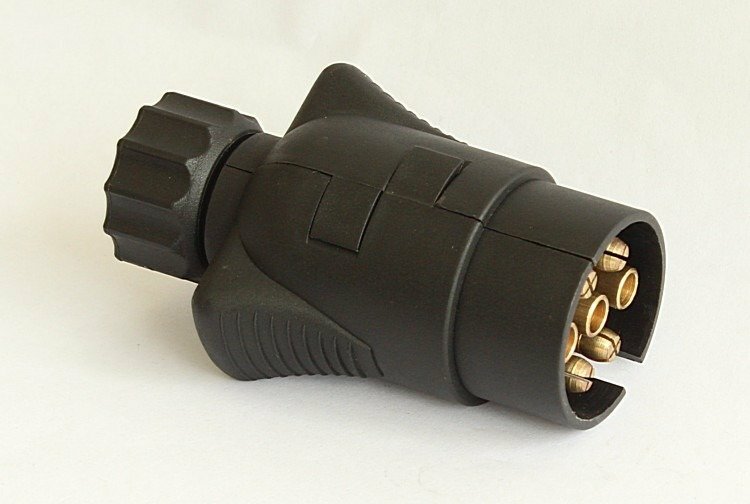 Plug made of PCV.